As health and fitness is very important for anyone, the demand and popularity of these websites never tend to cease. Visitors are always looking for fresh and useful content on the internet. If your website is rich and content and has a visually appealing design, it is bound to be a hit eventually. 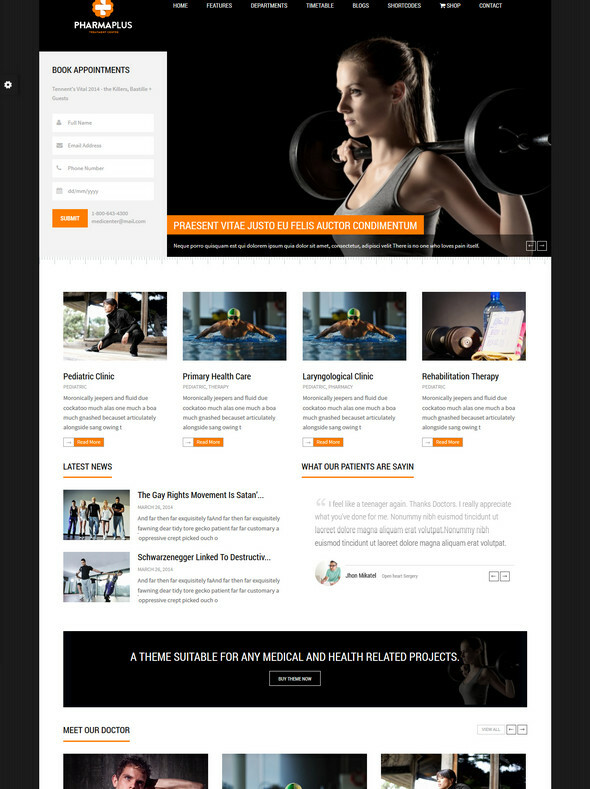 Building fitness websites on WordPress is very easy, thanks to the abundance of various fitness themes. When you set yourself to the task of finding out the perfect fitness theme for your website, you will be confused with the diverse range of options. To make things easier for you, we have selected the best 25 fitness themes for WordPress. All of these themes offer rich functionality and vast usefulness. We hope you will find your desired theme from this list. 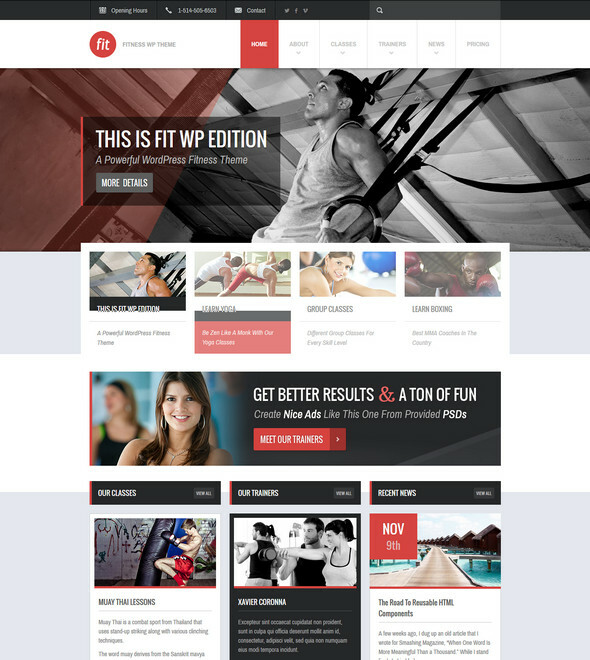 FIT is a specially designed premium theme for creating gym and fitness websites. You can also us this theme to create sports, spa or event websites. The fully localized theme comes with 10 original PSD files. 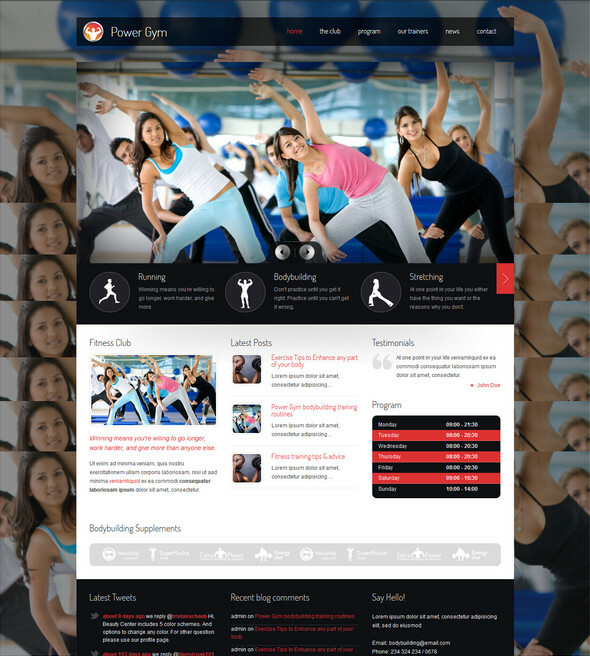 Creating a sports club, gym, fitness center or personal trainer websites is very easy with Sport. This unique theme shows gym events in the integrated calendar. There is also a dedicated page for gym trainers. Unlike the other themes of this list, this one is a set of themes. 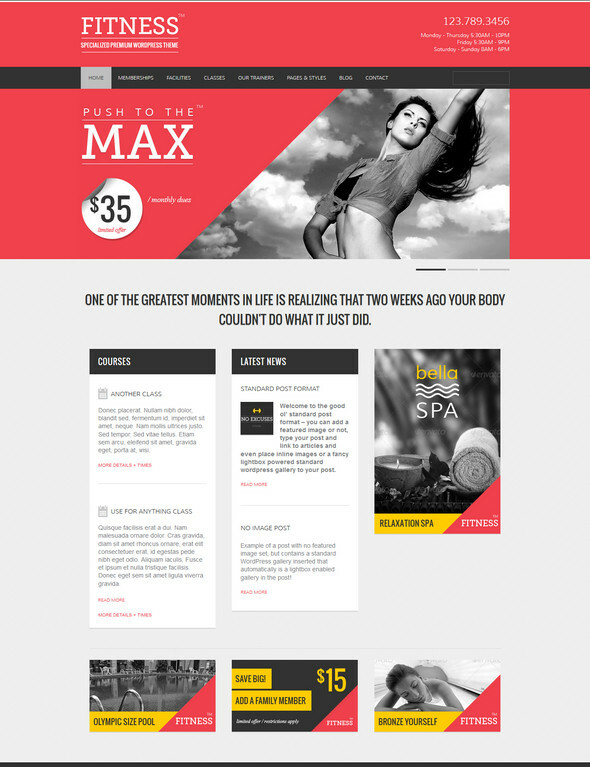 Focusing on the health category, this set of themes could be used to develop gym, spa and beauty websites. These themes are provided with all the relevant features. 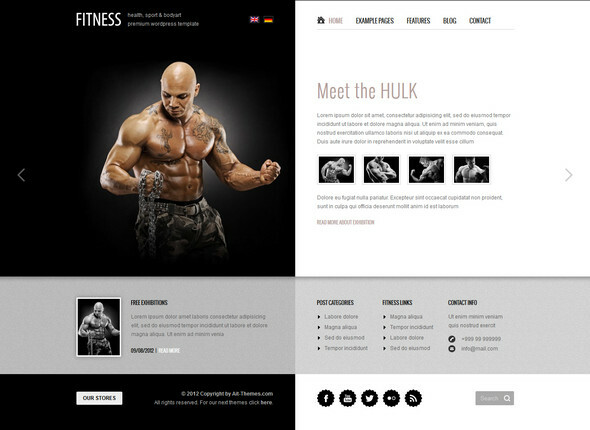 This stylish, fully responsive theme is perfect for creating fitness, health, gym, sports and fitness websites. With dedicated pages for membership, classes, trainers, events etc., the theme is extremely fast. 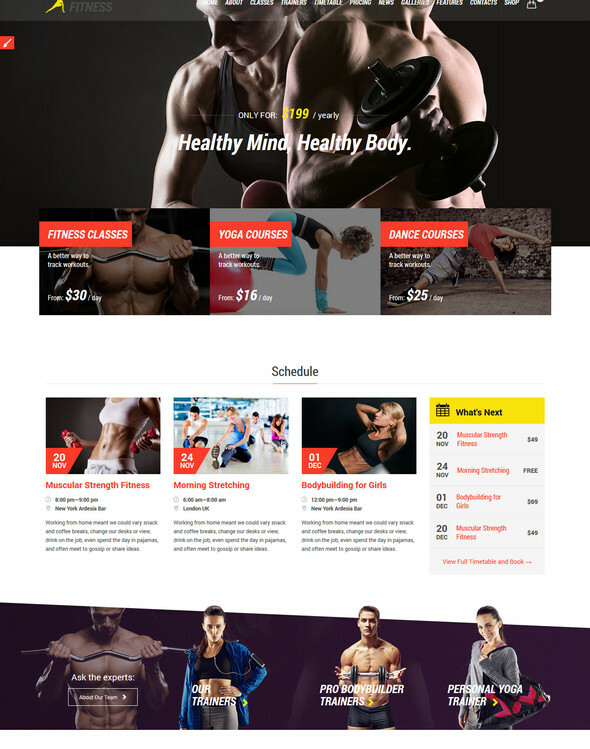 With special emphasis on sports activities like aerobic, karate, boxing, dancing and crossfit, Fitness is a premium WordPress theme. The integrated Event Calendar plugin will ensure proper classes, events and schedule options. Fitness is provided with lots of useful options including shortcodes, multiple page templates, post formats, galleries, color picker etc. Course Creator and Trainer are two special post types of this theme. Perfect for creating soccer, baseball, football, cricket, volleyball, rugby, handball or any other sports website, Fitness is a simple, minimalist WordPress theme. Being fully compatible with WooCommerce, you can easily create a sports shop with this theme. 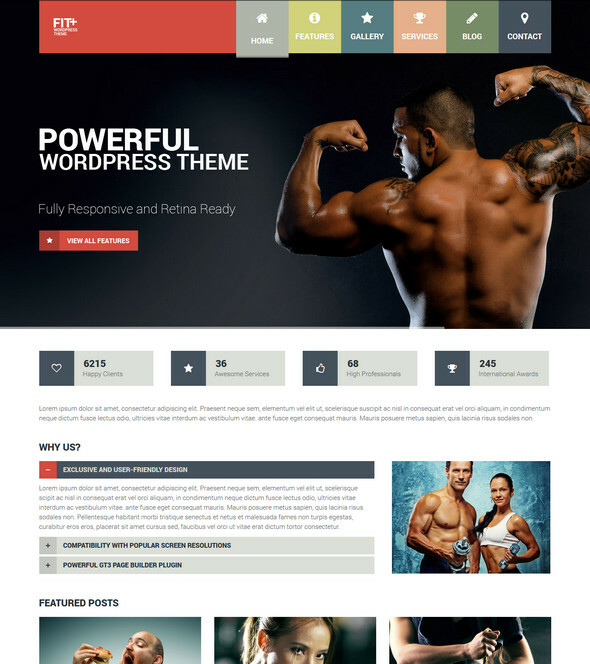 This stylish, clean WordPress theme is targeted at creating gym, fitness and sports related websites. The retina ready theme has a built-in timetable. Other premium goodies include Page Builder and LayerSlider. Featuring a minimalist approach, GymBase is a gym and fitness theme. The fully responsive theme works perfectly in both mobile and tablet devices. The drag and drop page builder comes with more than 50 readymade components. 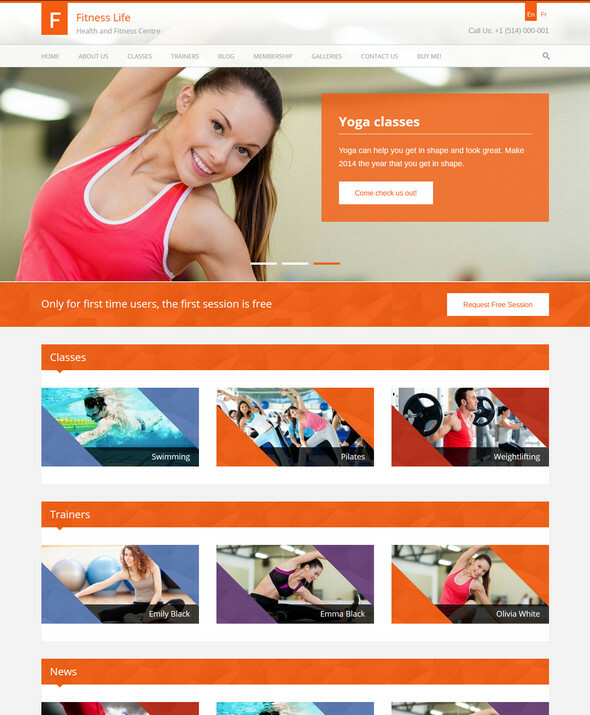 Based on Bootstrap framework, Fitness is a versatile WordPress theme. The theme features comepletely SEO optimized code. The theme package comes with complete documentation which will help you to get started in no time. Fit+ has a target of making you a leader in the business. The powerful theme has unlimited colors, page builder, and completely responsive page design. This theme is translation ready too. This award-wining theme is trusted by hundreds of customers worldwide. With complete WooCommerce integration, the theme is very e-commerce friendly. Other notable features include powerful admin panel, event calendar, page builder etc. 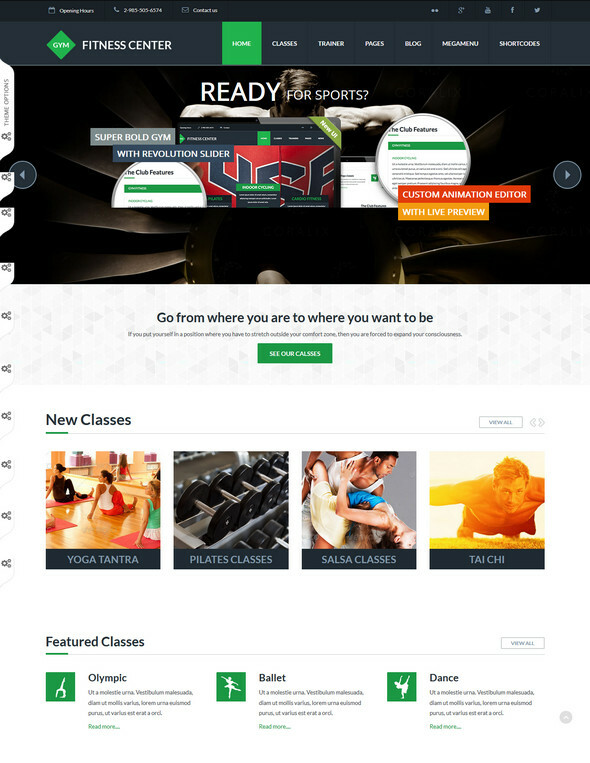 GymBoom is a very powerful, features packed WordPress theme. The built-in event calendar will help you manage your events effectively. The theme comes with premium plugins like Slider Revolution and Visual Composer. 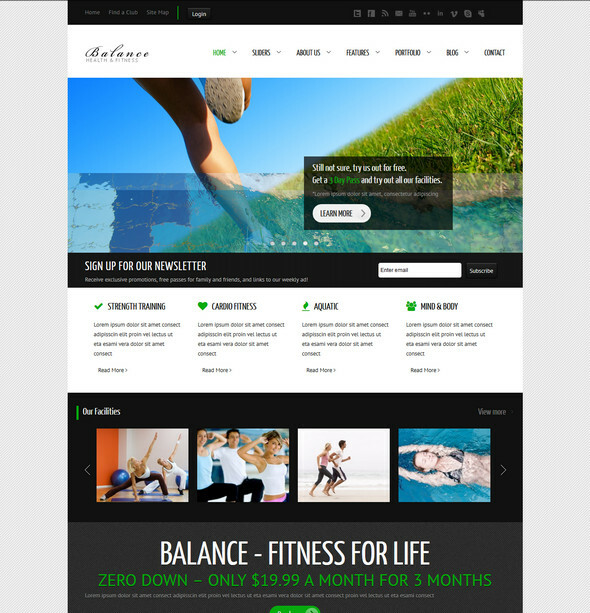 Sporting an innovative split screen design, Fitness is a trendy WordPress theme. While you can put your content on the right side, the left side is reserved for widgets. As the theme supports WPML translation plugin, you can easily translate it to other languages. 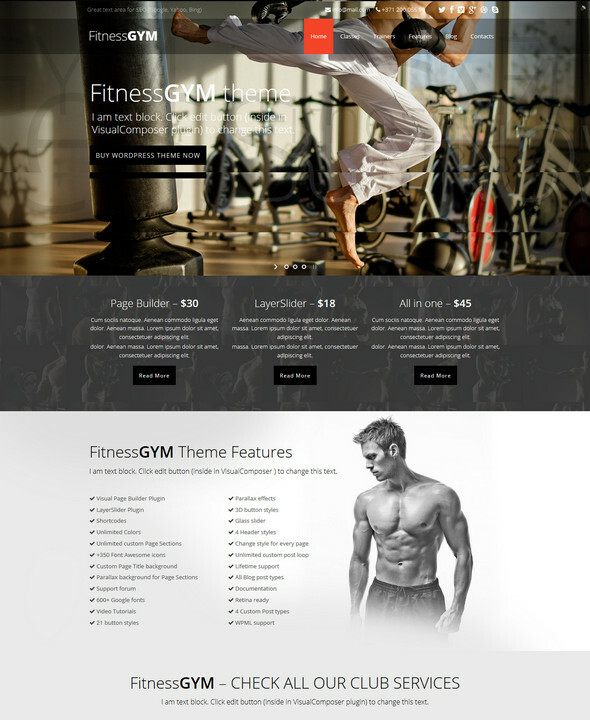 This HTML5 valid theme is perfect for creating gym and fitness websites in WordPress. With four home page variations and six different slider layouts, you can customize the theme easily. The cross-browser compatible Evolution Fitness theme is completely mobile ready. By using Google Fonts, the theme offers unlimited typography options. The visual shortcode generator supports different types of elements including buttons, sliders, icons, tabs, toggles etc. 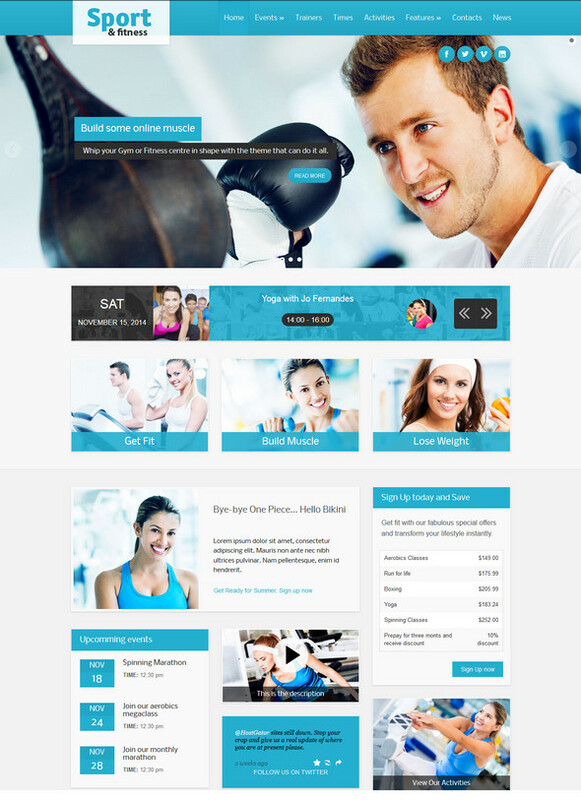 Provided with extensive documentation, GetFit is a fully responsive WordPress theme. The flexible theme is very easy to customize. Along with complete SEO optimization, the theme offers lifetime update and support too. This modern fitness theme is especially developed to meet the requirements of sports clubs, gymnasiums or any other relevant businesses. 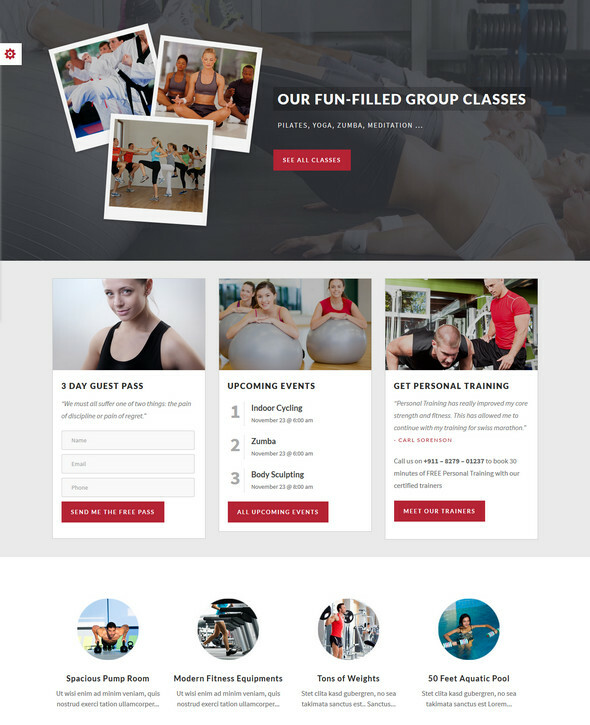 With features like trainer profiles, group classes, testimonials, pricing plans and gallery, this is a very powerful theme. 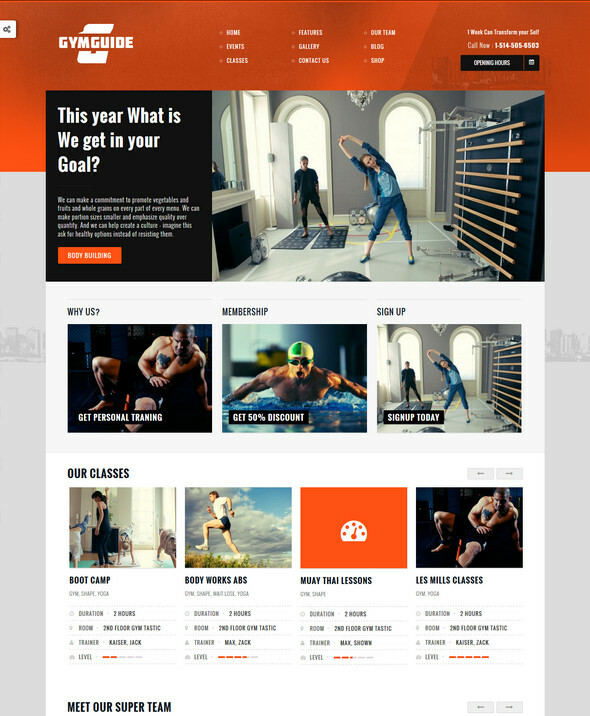 With a minimalist design, GYM is a responsive fitness theme for WordPress. The retina ready and multi-color theme provides an awesome user experience to the visitors. The WooCommerce supported theme comes with Contact Form 7 and Revolution Slider. 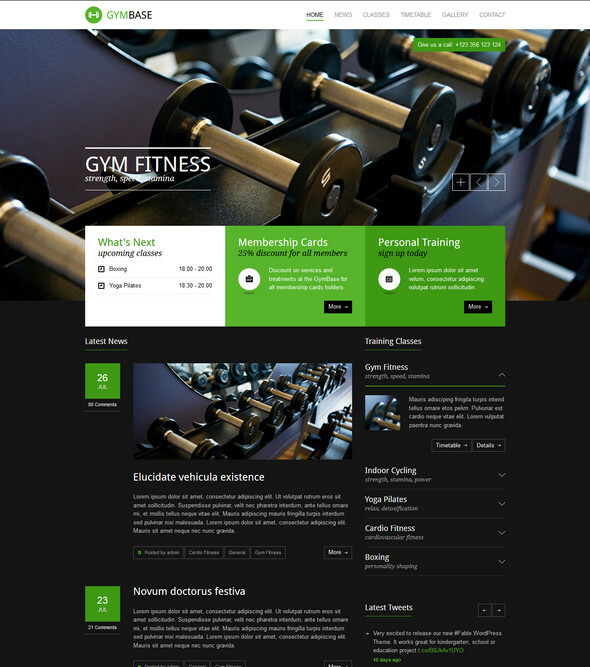 Designed specifically for gym and fitness websites, Gym Extream is a popular WordPress theme. The easily customizable theme comes with all the necessary PSD files, three slider types, custom widgets and Google Fonts support. 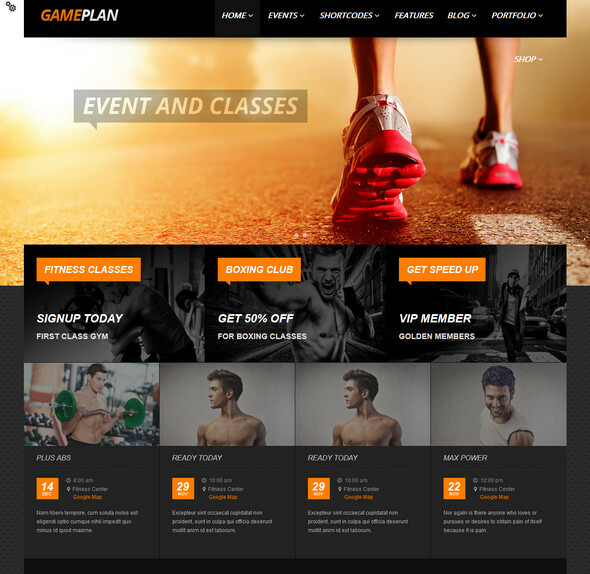 Gym Guide is an excellent WordPress theme for developing fitness and gym websites. The theme is provided with lots of useful options like gallery management, multiple sliders, scheduling classes, page builder and a powerful theme options panel. 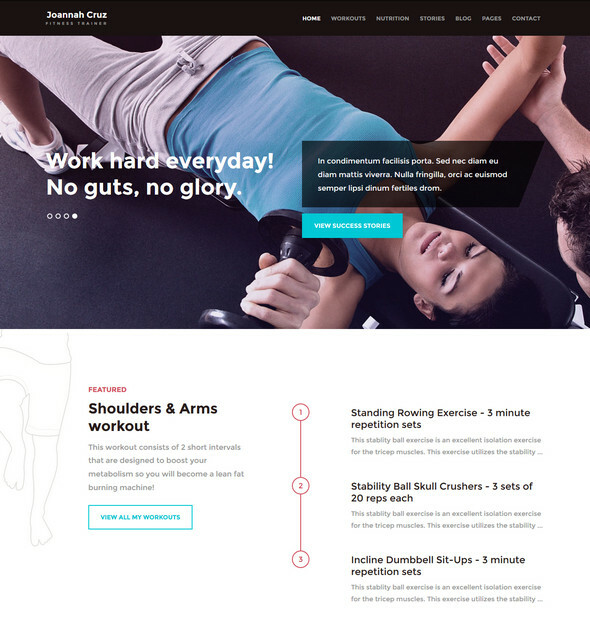 Especially designed for fitness, gym or other relevant websites, Power Gym is a modern, elegant WordPress theme. The powerful theme admin panel will let you control the theme. The widgets and other display options could be easily customized too. 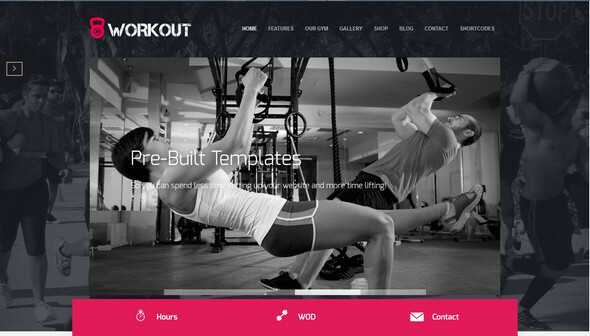 Perfect for the fitness community, Workout is an exclusive WordPress theme. This theme can help you in showcasing your programs, coaches and program schedule. With lots of custom post types nad readymade page templates, this theme is very easy to customize. 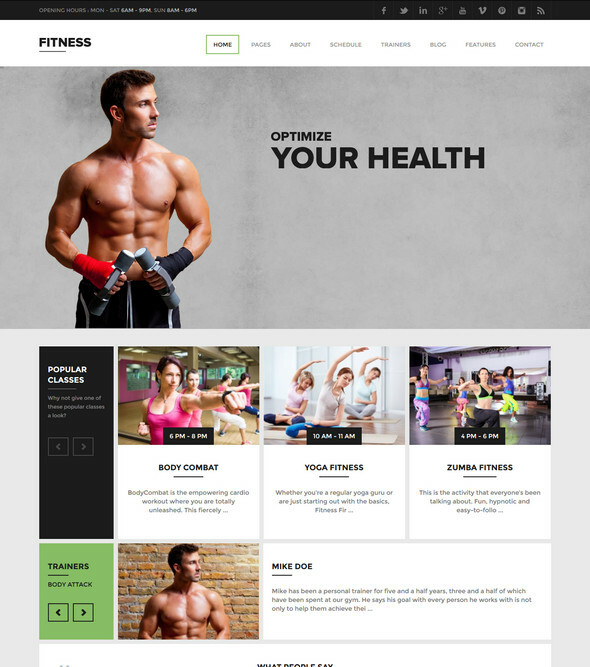 With a specific target of helping people reach their health and fitness goals, In Shape is an awesome WordPress theme. The theme comes with all the necessary tools to keep track of the workout and monitor the improvement. 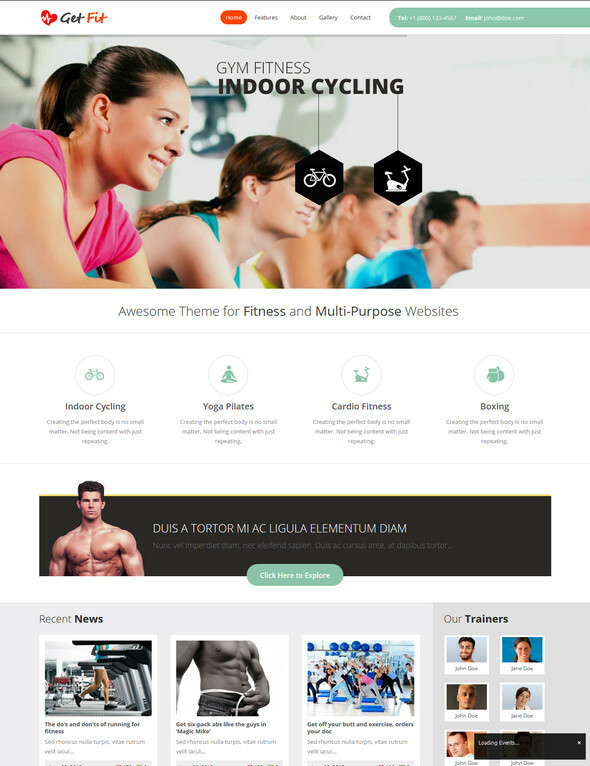 Young Fitness is a beautiful WordPress theme which could be used to develop gymnasium, spa or any other health related website. The fully responsive theme is provided with NextGen gallery, MegaMenu and multiple home page variations.